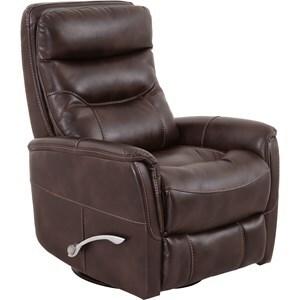 With plush padding and a sturdy frame, the Argus power recliner is destined to be your new favorite seat in the house. A split back creates generous cushioning for your back, while the pad-over-chaise seat ensures amazing comfort from head to toe. 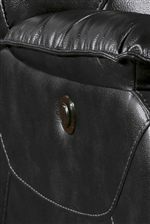 The leather and leather match upholstery is available in black, nutmeg, and sand, presenting earthy tones that bring warmth to any home, accented by traditional welting. 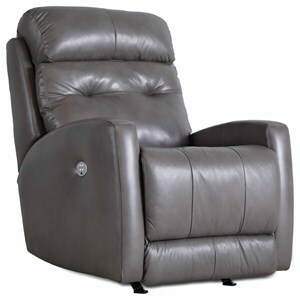 A power recline function allows you to stretch back and relax with ease, while a fully padded frame and 2.2 density foam ensure long-lasting comfort and durability. 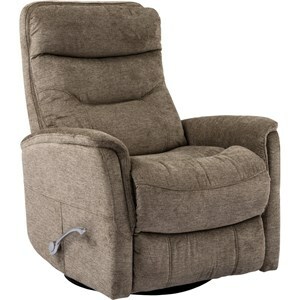 The perfect addition to your living room or entertainment area, the Argus power recliner has a casual look with premium comfort that gives you the best of style and function. 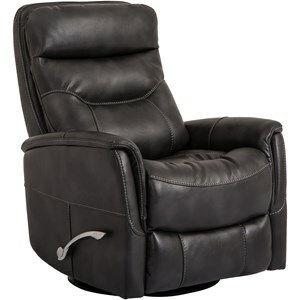 The Argus Argus Leather Match Power Recliner with Pillow Arms by Parker Living at Gallery Furniture in the Oregon, Portland, Clackamas, Washington, Beaverton, Northwest, Vancouver area. Product availability may vary. Contact us for the most current availability on this product. 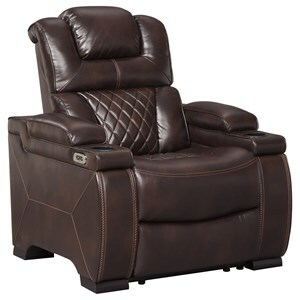 Named after mythical Greek gods, legendary kings and heroes of the Hebrew bible, each of these Parker Living motion recliners possesses a rare and divine caliber of comfort for unparalleled tranquility. 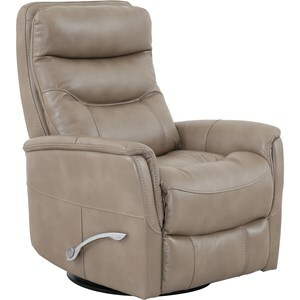 Select from push arm, external handle and power operated standards and glider recliners in a range of neutral brown and beige tones, upholstered in leather match for an extravagant style at a fraction of the cost of full leather. Be the envy of every mortal in your neighborhood when you invest in one of these sublimely designed motion recliners by Parker Living. The Argus collection is a great option if you are looking for Casual furniture in the Oregon, Portland, Clackamas, Washington, Beaverton, Northwest, Vancouver area.